Having high requirements for video resolution and its sound quality? Then I think you must be or will be a Blu-ray discs collector for Blu-ray movies always can bring you a remarkably visual and acoustic impact with their high-quality images and audio. Then have you had collections of these latest Blu-ray discs such as RoboCop, Pompeii directed by Paul W. S. Anderson who ever directed the famous Resident Evil series, Jack Ryan: Shadow Recruit, 24 Exposures, 3 Days to Kill, Way of the Wicked, About Last Night, Cheap Thrills, Still Mine, I, Frankenstein, etc? As a loyal collector, if you’ve got all those latest released Blu-ray discs, they must cost you an arm and a leg. Every time you watch those Blu-ray discs, you must have handled them with great carefulness and cautiousness to prevent them from scratches, dusts or slipping off to the ground. You’d better take a measure to avoid these situations once for all. Here I would like to introduce you Pavtube BDMagic to backup or convert all your Blu-ray discs to your PC or other devices for watching high quality Blu-ray movies reassuringly. How to backup/convert Blu-ray discs for safekeeping with Pavtube BDMagic? 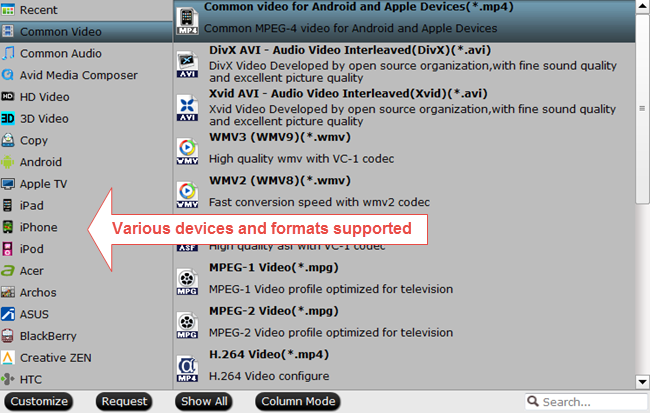 Run Pavtube BDMagic, and click “File” ＞ “Load from dics” to import your Blu-ray discs. Here for backing up or converting Blu-ray discs, you need to install an internal or external Blu-ray drive to identify and read your Blu-ray discs. Click icon to realize full disc copy which allows you to preserve Blu-ray’s original file structure without changing anything. Free trial version only supports 3-time full disc copy. It can save 100% intact M2TS main movie from your Blu-ray disc without those promotional clips. Compared with full disc copy, it takes less time for conversion and occupies less space. 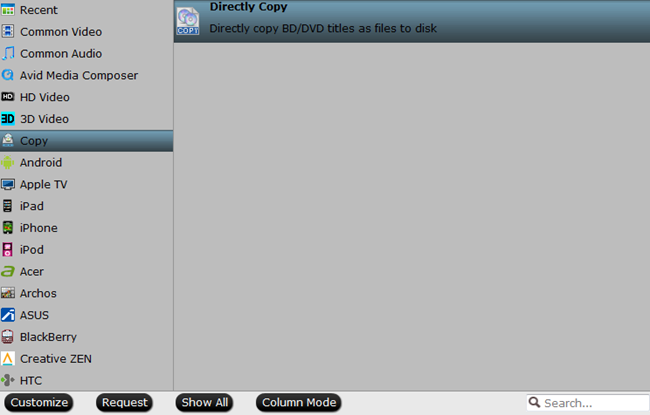 Click the format bar to choose “Copy” ＞ “Directly Copy” to start copy the main movie from your BLu-ray disc. If you want to convert your Blu-ray movies to some certain audio/video format for playing them on devices such as Apple media devices, Android smart phones and tablets, Windows media players, etc, try to convert them to corresponding format by clicking the format bar where you can find various audio/video formats. For more features of Pavtube BDMagic, please visit www.multipelife.com/bdmagic. For more money-saving combos, please visit www.multipelife.com/special-offer. This product is very easy to use, and is a great tool to have all my Blu-ray’s ready to watch where ever I go. very well i am about to see i its actual fixable. Have you ever thought about including a little bit more than just your articles? I mean, what you say is valuable and all. However think about if you added some great graphics or videos to give your posts more, “pop”! Your content is excellent but with pics and video clips, this site could certainly be one of the best in its field. Terrific blog! 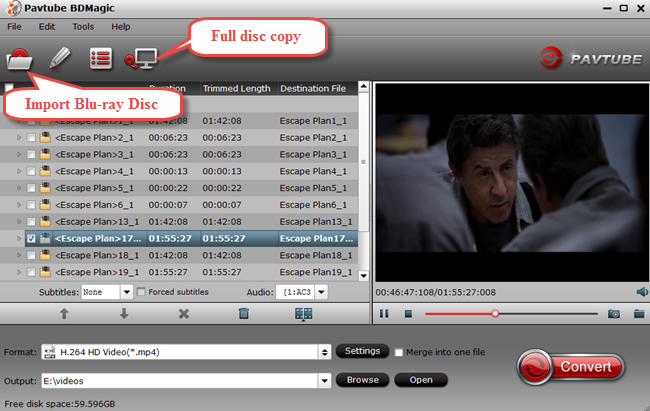 The “Copy” module allows me to quickly start the process of copying a Blu-ray disc entirely on local drives. I can copy only the main movie, without the files I find unnecessary. I also have the option to create mp4 content of the disc for freely watching. This is a message to the webmaster. Your Best Blu-ray Backup – Full Copy Blu-ray Main Movie for Safekeeping. Hope this helps 🙂 Take care. I have walls of bookshelves full of DVDs and Blu-Ray shows and movies. I wanted to digitize that collection to free up the space. I converted one of my new PCs into a home media server using Plex. BDMagic allows me to convert all those DVDs and Blu-Rays into MP4 files for my media server. It’s quite simple and the more I use it the more I like it. I recommend it to all my friends and family. I also a product from Slysoft (which costs a lot more), but I like Pavtube much better. It’s easy to use. The product works wonderfully, not one hiccup so far, have backed up 10 blu-rays and over 30 dvds to my pc media server. Thanks. I came to your page and found Pavtube is the ONLY product I can find that works correctly and easily with native TIVO files! Excellent interface and online help and it runs fast too. Your specific instructions for converting .tivo to .mpeg convinced me to try and buy. I don’t want to become a video expert to convert a few video files.